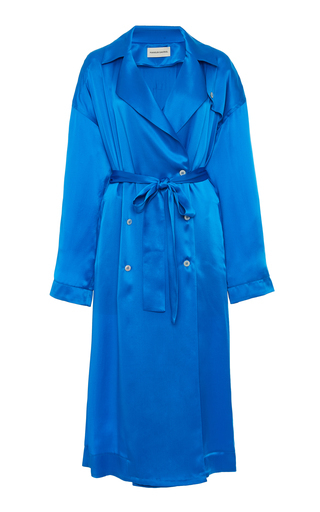 Italian silk charmeuse flowy royal blue trench coat. Relaxed fit. Long sleeves with drop shoulder. Front pockets. Front button closure and removable tie belt. Mid-calf length.